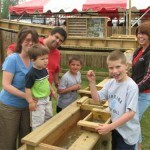 What kid (young or old) doesn’t like to play in the water! 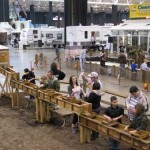 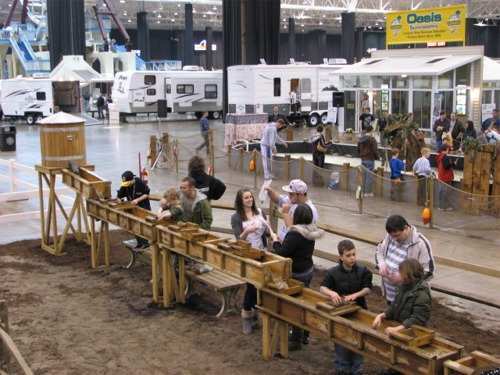 Now you can have the excitement and fun of an “old time” mining operation at your event with the addition of our mobile mining sluice. 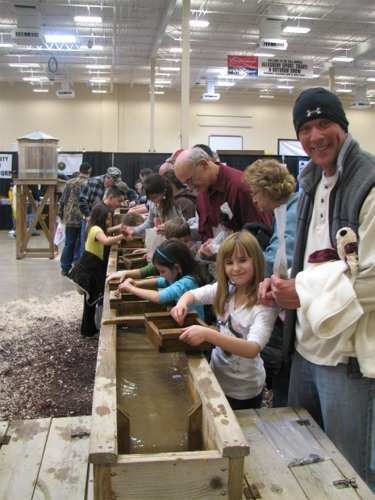 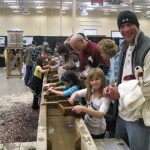 Kids of all ages can mine for gemstones, fossils, and more. 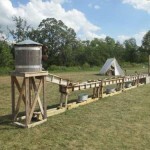 The Mining Sluice is available for school, church, civic or public events of any kind, inside or out! 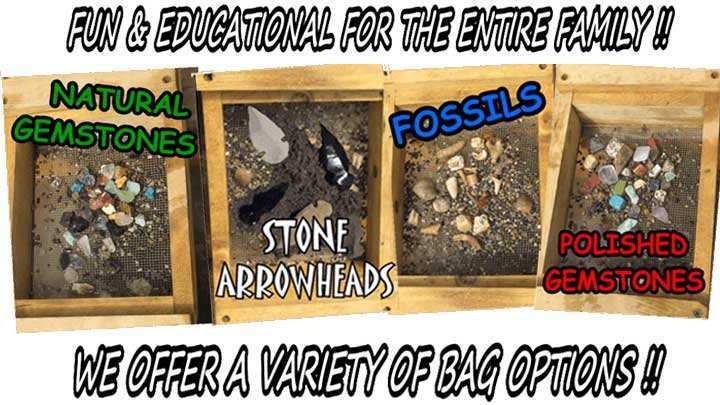 We can produce customized bags to fit your specific curriculum. 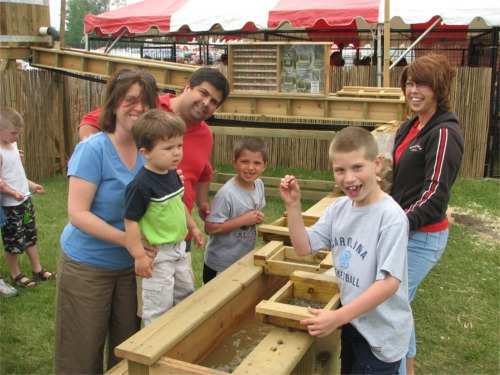 Custom bags can include a mixture of all the varieties shown above or additional items, such as, prize tokens, souvenir coins, keys or any other small items you may choose! 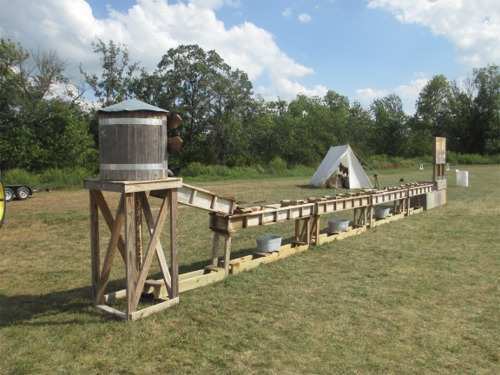 The sluice comes complete with a water tower, coursing water troughs, screen-bottomed mining boxes and lots of rustic atmosphere. 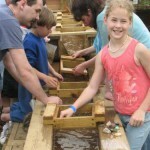 To join in on the fun you simply purchase a bag of mining material (sand/gravel enriched bags). 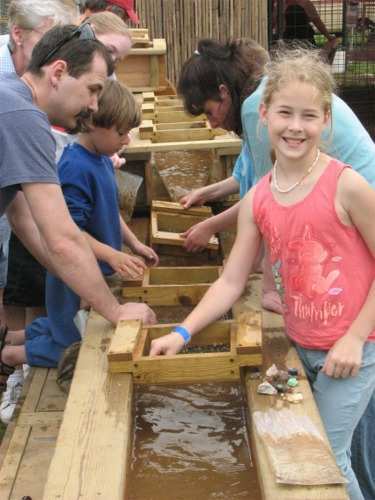 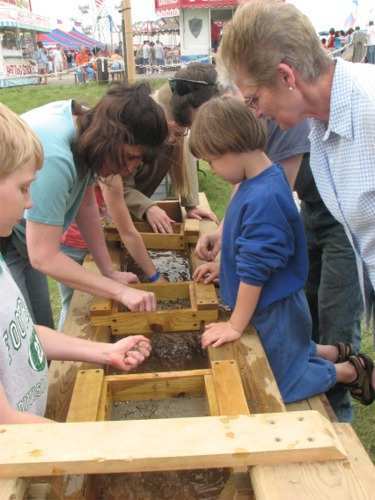 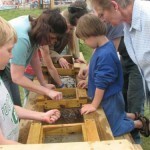 Pour it into the mining box, submerge it in the sluice trough to wash away the sand and expose your “treasures”. 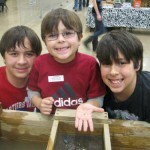 You can match your natural finds with our identification display learning a little geology along the way. 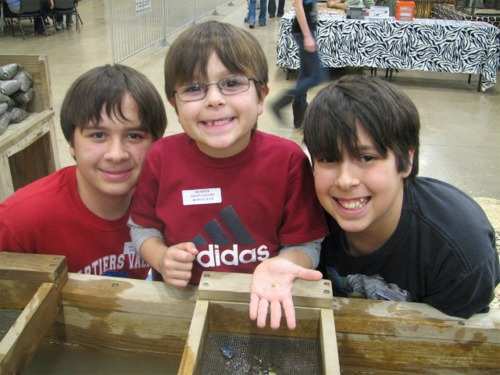 This is a great way to start your rock collection or add to an existing one.